Lynes Home Inspections has been in operation in Beaufort County since 1996, an outgrowth of a highly successful residential construction business. Inspections are conducted to the highest standards and practices of the South Carolina Association of Home Inspectors and the South Carolina Residential Builders Commission. Inspection reports are available the same day as our on-site inspection delivered directly to your email. No other home inspection service offers a faster, more accurate or more complete report that Lynes Home Inspections. Michael Lynes was raised in the construction business working for his father Ralph Lynes, one of the Hilton Head Island's pioneer builders. In 1976 Michael formed his own company, Lynes Construction, Inc.
Lynes Home Inspections was formed in 1996 as an adjunct to his successful construction business. 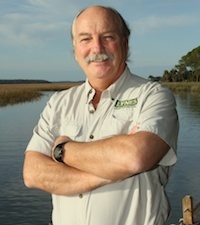 Having built hundreds of homes in the lowcountry and inspected thousands more, Michael is uniquely qualified to understand what nature does to structures in this area. Mr. Lynes is licensed by the State of South Carolina as a home inspector and residential builder, and is a member of the South Carolina Association of Home Inspectors. International Residential Codes – Electrical, Plumbing and Inspection Procedures (ASHI & SCAHI approved) from the SC Chapter of the American Association of Home Inspectors and the South Carolina Association of Home Inspectors.